We’re totally in awe at Edelkrone’s recent camera accessory releases, from their rail-and-wheel-free camera slider to the self-locking adjustable tripod alternative. I mean, the darn things are clever. 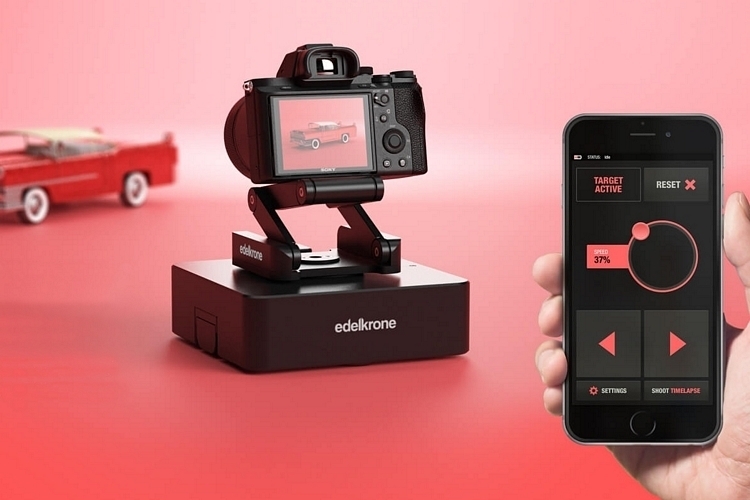 Their latest, the Edelkrone SurfaceOne, is just as impressive, as it gives you an auto-framing electronic dolly that you can control via a companion app. 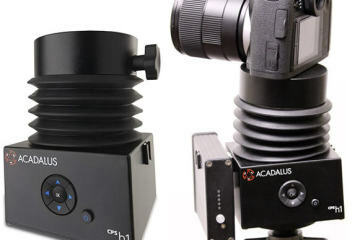 Billed as a “two-axis motion control system,” the device can be used to take straight, curved, and panning shots of your subjects while it rolls along floors, tables, and other flat surfaces. 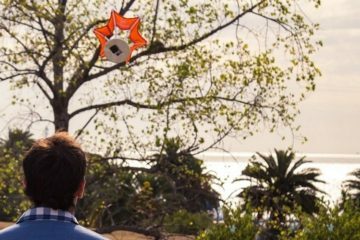 The device itself controls its distance from the subject and the speed in which it glides across the surface, ensuring smooth and consistent motion sequences. 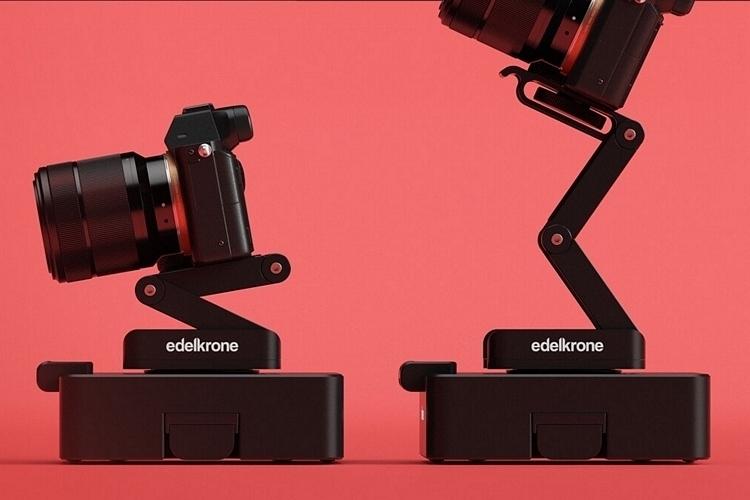 The Edelkrone SurfaceOne consists of a wheeled platform with a mounting head on top where you can place your DSLR, mirrorless camera, or whatever other rig you use to shoot videos. It can only move left or right (both straight and at an angle), which, in itself, should allow for a whole load of neat shooting tricks, although the mounting head can be panned to face the side if you want to use it for zoom-in and zoom-out shots. To set up a shot, start by placing the device at your starting position, launch the app, and choose the “targeted slide” mode. After that, you switch on the integrated laser pointer and angle it such that the beam is hitting the center of your subject. Confirm the position in the app, move the device to a second position, and repeat the sequence. From there, the app will make its own calculations, determining its path based on the two positions you entered. 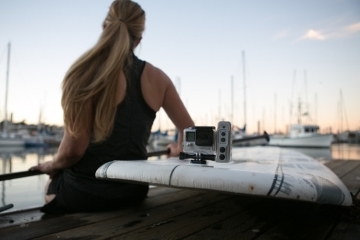 All you have to do is let it loose and you’ve got yourself a proper motion footage. 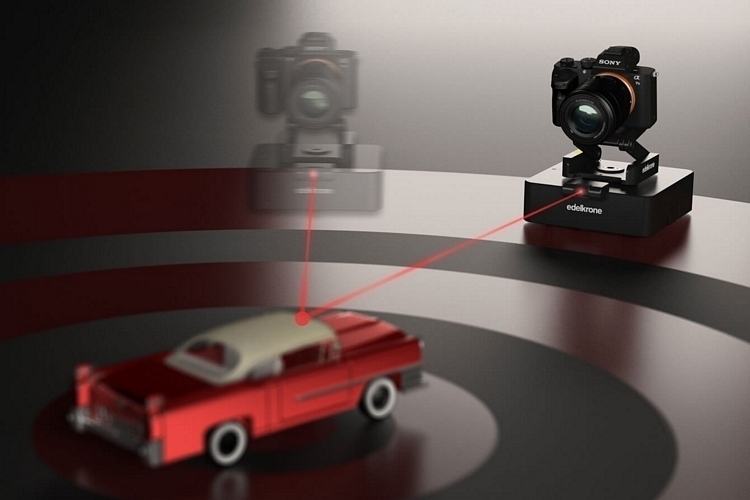 Aside from the “targeted slide” mode, the Edelkrone SurfaceOne also comes with a “free slide” mode that will have it automatically panning left or right, while an “auto-pan” mode allows you to get it spinning around over and over. The mounting head on the device, by the way, looks like a smaller version of the outfit’s self-locking tripod replacement, so you can manually adjust the camera at multiple heights, as well as tilt and pan it for a wide range of shooting options. It also comes with a timelapse mode, by the way, that can have the device recreating the same movements day in and day out for up to 60 days. Because it calculates its own path, the device should be able to recreate the same shot over and over with minimal deviations in its movements and distance from the subject. That should open a whole load of possibilities for your footage, allowing you to achieve shots you’d otherwise only accomplish with fixed tracks and a dolly. And since the device controls its own movements and speed, the motion will be perfectly smooth (provided you have a perfectly flat surface) and the pace will be consistent throughout, making shots you filmed in your dad’s garage look utterly professional. Available now, the Edelkrone SurfaceOne is priced at $690. This is such a sweet technology and device! I love how it has a self-locking adjustable tripod alternative, which makes it perfect for filming your own YouTube videos, or even interactive “Lego Movies” for the kids! 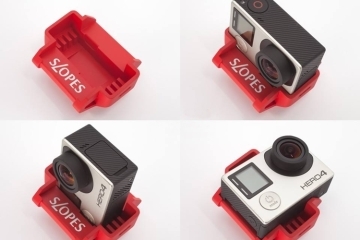 The fact that you can control it from a distance, and that it’s designed to roll and move around different surfaces is AWESOME, and shows how technology is taking photography to the “next level.” At first, I thought the device was on a ‘track’ of some sort to move around and take various angle footage. 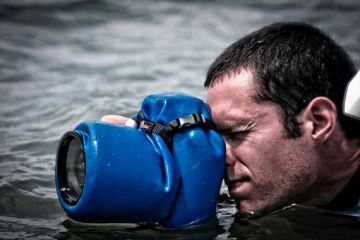 I like that it was also made to have its own ‘brain’ which means you can focus more on the subject or target of your image-capturing rather than always fidgeting with the camera device. For around $700 the price seems relatively fair, but to be honest it would have been nice to see them throw in a $200 Sony camera or even generic camera so people could test it out, and get a ‘feel’ for the product before investing more into a nice camera – especially if they’re just getting started or only a hobbyist. it was cool until they raised the price to $999.